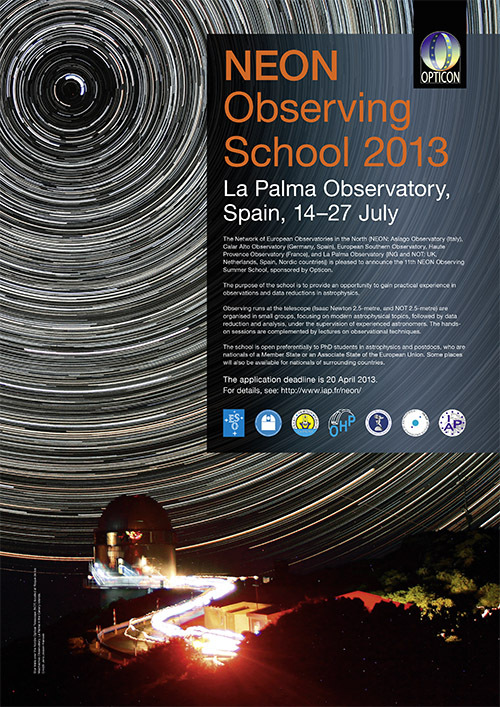 ING hosts the 11th NEON Observing School from July 14 to July 27, 2013. NEON stands for the Network of European Observatories in the North. The NEON Observing Schools are supported by OPTICON. The aim of the NEON summer schools is to provide an opportunity for young researchers to gain practical experience in observational techniques, data reduction and analysis and the use of virtual observatory tools. 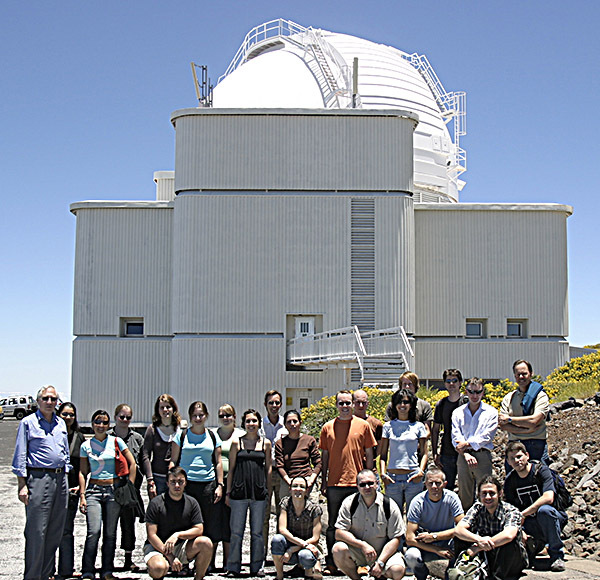 Students will carry out small research projects on selected astrophysical topics, in small groups under the supervision of experienced astronomers. These practical exercises will be complemented by lectures on general observational techniques and archival research for both ground and space-based astronomy. 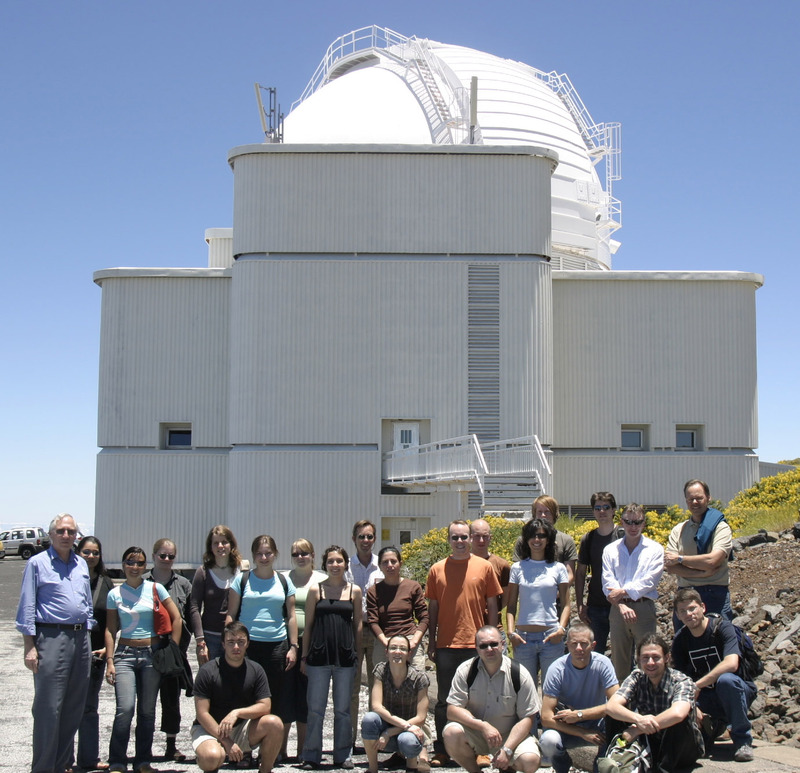 The observing school at the telescopes on La Palma, INT and NOT, will largely concentrate on the skills required to execute an observing program (imaging and spectroscopy) and instrumental developments. An account on previous observing schools can be found on the EAS. The NEON Observing Schools 2013.